Assisted living facilities are for people who need assistance with Activities of Daily Living (ADLs) but wish to live as independently as possible for as long as possible. Assisted living exists to bridge the gap between independent living and nursing homes. 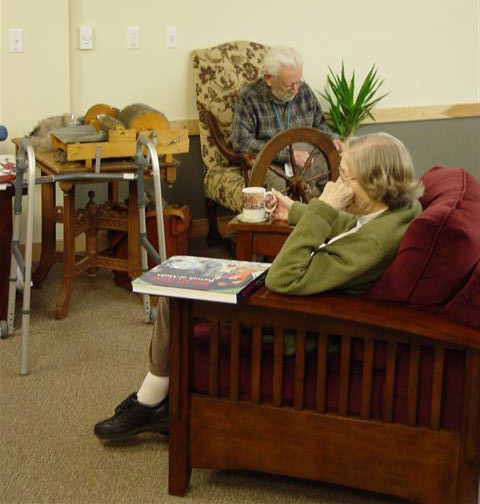 Residents in assisted living centers are not able to live by themselves but do not require constant care. Assisted living facilities offer help with ADLs such as eating, bathing, dressing, laundry, walking and exercise, incontinence care, housekeeping, and assistance with medications. Assisted living is not an alternative to a nursing home, but an intermediate level of long-term care appropriate for many seniors.